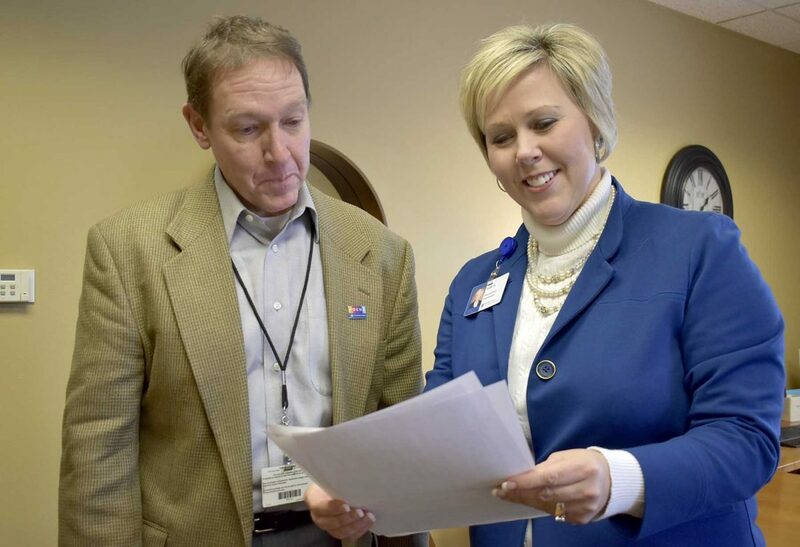 Troy Martens, chief operating officer for UnityPoint Health — Fort Dodge, left, looks over some of the hospital’s accomplishments with Leah Glasgo, president and chief executive officer of UnityPoint — Fort Dodge, at the hospital. 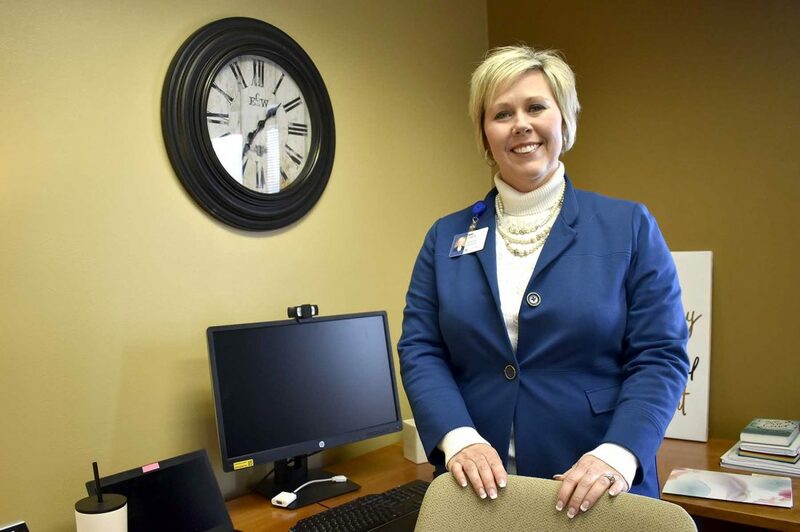 Leah Glasgo, president and CEO of UnityPoint Health — Fort Dodge, poses in her office at the hospital recently. 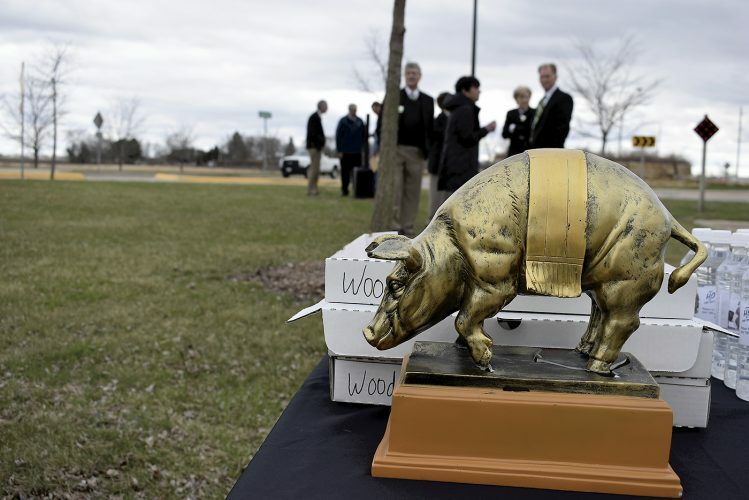 Glasgo began her duties in Fort Dodge Jan. 28.